This valve can be applied to urban construction, chemical, metallurgy, oil, pharmaceutical, food, beverage, environmental protection, etc. The pressure of this valve will be Class 800LB. 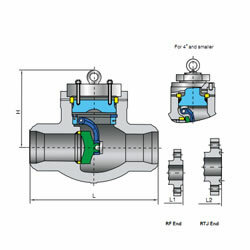 This forged steel Y-pattern piston check valve has various specifications and features.